When working with in-house counsel, I formulate and pursue a strategy for each case that best serves the company’s ultimate business objectives. Because of my track record as a trial lawyer, those business objectives are often achieved without my clients ever setting foot in a courtroom. Evan is a Sustaining Life Fellow in the Texas Bar Foundation, a charitable organization dedicated to educating the public about rights and obligations under the law and providing legal services to the poor, for which he serves on the nominating committee. 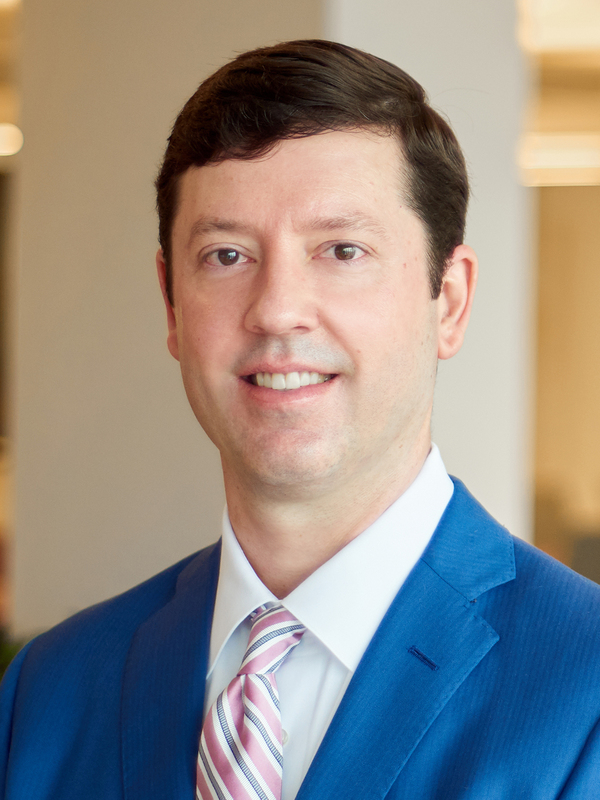 Evan was also named one of Houston’s Top Lawyers for Financial Services Litigation by H Texas Magazine in 2012, 2013, 2014, 2015 and 2016, named to Texas Rising Stars® (by Thomson Reuters) Business Litigation 2014-2018, and named a Top Lawyer in Litigation by Houstonia Magazine in 2015 and 2018. Represented a health care industry marketing, management and business development firm in which the client recovered a multi-seven-figure arbitration award for breach of marketing agreement in failing to pay commissions due on over 100 client originations. Represented a large financial institution in state court in Corpus Christi, Texas in which the jury returned a take-nothing verdict in favor of the client on the plaintiff’s claim for breach of contract. Trial court rendered a judgment notwithstanding the verdict in favor of the plaintiff. Court of Appeals affirmed. Texas Supreme Court reversed and rendered a take-nothing judgment in favor of the client in accordance with the jury’s verdict. Represented a residential construction company and its managing partner in which the clients recovered a multi-six-figure arbitration award against two former partners and their competing company for breach of operating agreement and conversion of company property. Represented a debt buyer in federal court in Santa Ana, California in which the jury returned a take-nothing verdict in favor of the client on 10 counts brought by the Plaintiff under Federal Fair Debt Collection Practices Act and California Rosenthal Fair Debt Collection Practices Act. Represented a healthcare industry sales executive in which the client recovered a multi-six-figure arbitration award for former employer’s breach of sales incentive plan on a $254,542,000 transaction. Represented a large financial institution in state court in Beaumont, Texas resulting in a hung jury with a majority of jurors voting in favor of the client. Secured favorable settlement on behalf of the client the same day. Represented a large financial institution in state court in Dallas, Texas in which the jury returned a verdict generally favorable to Plaintiffs on their breach of oral contract and libel claims. Court of Appeals reversed and rendered take-nothing judgment in favor of the client. Represented commercial property owners in state court in Conroe, Texas in which court awarded the clients judgment for breach of contract and trespass damages as well as attorney’s fees after bench trial. In a separate bench trial in state court in Conroe, Texas, the court awarded judgment for possession of the property in addition to attorney's fees. Court of Appeals affirmed. Represented a beneficiary under his mother’s will in state court in Angleton, Texas, resulting in a seven-figure settlement for the client of the fourth day of jury trial after bringing claims against the Executor for breach of fiduciary duty, breach of contract, misapplication of fiduciary property, fraud and tortious interference with inheritance rights.